Marsa Alam is a sleepy south eastern town in Egypt on the western shore of the Red Sea. Whilst some liveaboards do operate directly out of the town, most use a modern purpose built international marina about 1 hour north called Port Ghalib or Marsa Ghalib. This is very convenient for flights arriving into Marsa Alam airport, as it is only a 10 minute drive to the departure location of liveaboards. Port Ghalib is a new town with a nice marina, some restaurants and some high-end hotels perfect for your start either before or after your Red Sea liveaboard cruise. 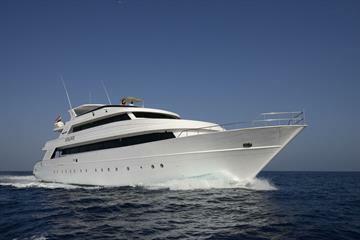 There are numerous spectacular dive sites and areas located in the South of Egypt with plenty of dive liveaboard options. 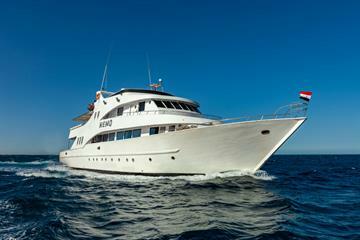 Divers and snorkelers will enjoy some of the finest diving available in the Red Sea. The stunning reef of Elphinstone is just 2.5 hours to the south, this is a long admired dive site with stunning corals covering the reef the chance to see Oceanic white tip sharks and Hammerheads. Liveaboard diving from the South allows easy access to other amazing sites like Daedalus, the Brothers, St Johns and Fury Shoals, thus many of our dive liveaboards make Marsa Alam or Port Ghalib their home port for these top dive spots. 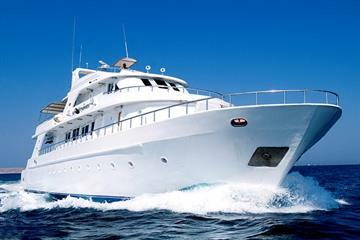 Most liveaboard itineraries will also include a day of diving in the local area, such as Marsa Mubarak or Abu Dabab where an exciting array of marine life can be seen and the possibility of seeing Dugong, or Sea Cows. Dive sites like St. Johns, Zabargad and Rocky Island are located around a 9 hour sail to the south of Port Ghalib, and are pinnacles that plummet hundreds of metres down. 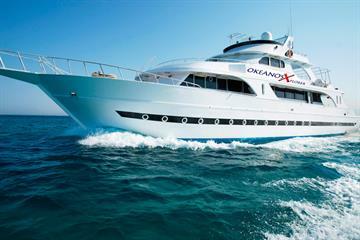 Located in open ocean and with no sandy bottom, this lends to perfect conditions for excellent visibility and the chance of large pelagic encounters such as schools of Hammerhead Sharks, Oceanic Whitetips and even Thresher Sharks. Spinner dolphins, bottlenose dolphins, turtles, barracuda and the endangered Dugong are all commonly sighted during our liveaboard trips - so you get to dive a wide variety of sites during your dive vacation. Manta Rays can also be spotted at cleaning stations at Zabargad, which is the largest of the southern Red Sea Marine Parks. Marsa Alam has a small international airport that is served by a few international airlines, mainly from Europe. 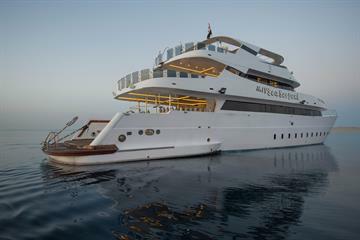 It’s is situated just 10-15 minutes drive from Port Ghalib, so is perfect for itineraries departing from this area. Marsa Alam and Port Ghalib are also both easily accessible through overland transfers from Hurghada. 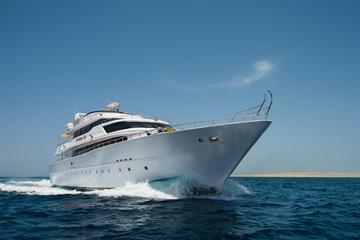 Marsa Alam and Port Ghalib provide ideal starting points for any Southern Red Sea liveaboard cruise.